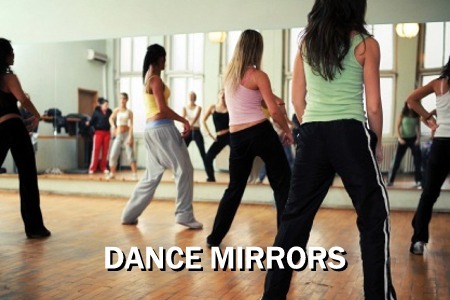 Portable Mirrors enable multi-functional rooms such as halls, to be used as a fun Motivational training space, teaching dance and fitness and health activities, Our Portable Mirrors are manufactured to the highest standards (in our factory in the UK), using only the best quality components hence we can offer a warranty that cannot be matched by any other supplier. They are built and designed with the user in mind, designed to be moved from room to room and have locking wheels for safety. Strong and built to last years, each mirror is steel framed unit powder coated in black or white finish, and supplied as single unit, most importantly no assembly required, and no components to fail over time like other systems. 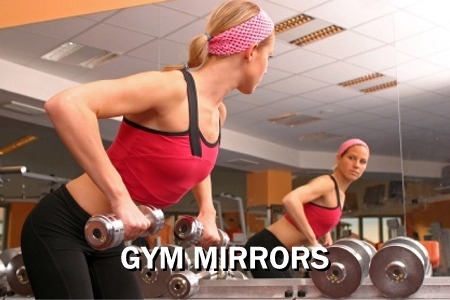 Mirrors for Training provide the very best Portable Mirror solutions, manufactured to the highest standards and perfect for multi-functional rooms. Popular with dance, performing arts, and various fitness now popular with a number of golf professionals! We pride ourselves with offering the very best quality at affordable prices with a reputation for the highest level of support to event organisers, supplying a large spectrum of events, delivering across the UK and abroad. 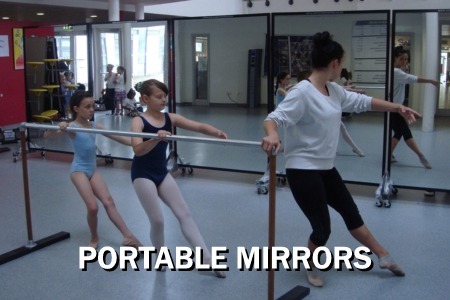 Large stock of portable mirrors for purchase or hire – Bespoke solutions tailored to your requirements. 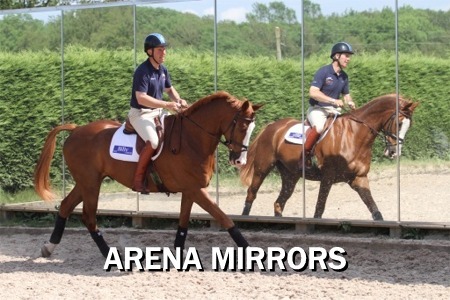 These fantastic mirrors on wheels create a professional environment for you to train and teach, available in Single or Double Sided.